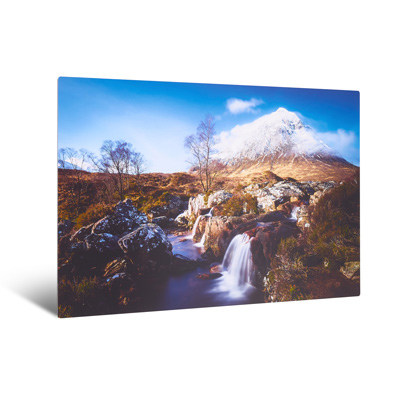 Sizes Available From 12x8" to 40x30"
Your image is printed photographically and bonded to a 3.5mm thick, Dibond board (black polyethylene sandwiched between two sheets of white coated aluminium). You then have a choice of print seals to protect the image from finger prints and light scratches. Supplied complete with a wall mount which holds the print 10mm from the wall.